Acquaint yourself with the architectural splendor of Ojen on a private half-day tour from Marbella. 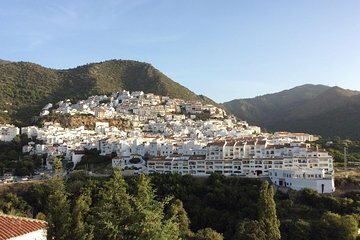 After travelling through the Andalusian countryside, you’ll embark on a guided tour of Ojen’s white houses and historical monuments with your guide. Marvel at the Church of La Encarnacion and the Karst Caves before visiting an olive oil mill to sample delicious local produce. On this private tour, you’ll receive undivided attention from your guide while experiencing the best Ojen has to offer. The tour in a car (1 - 3 pax) or in a van (4 - 8 pax) doesn't include tour guide during the transportation. The local guide will meet you at the parking area by the town hall in Ojen. The tour in a minibus (from 8 people on) includes tour guide during the transportation.